Length? Reach? | Me fail? I fly! 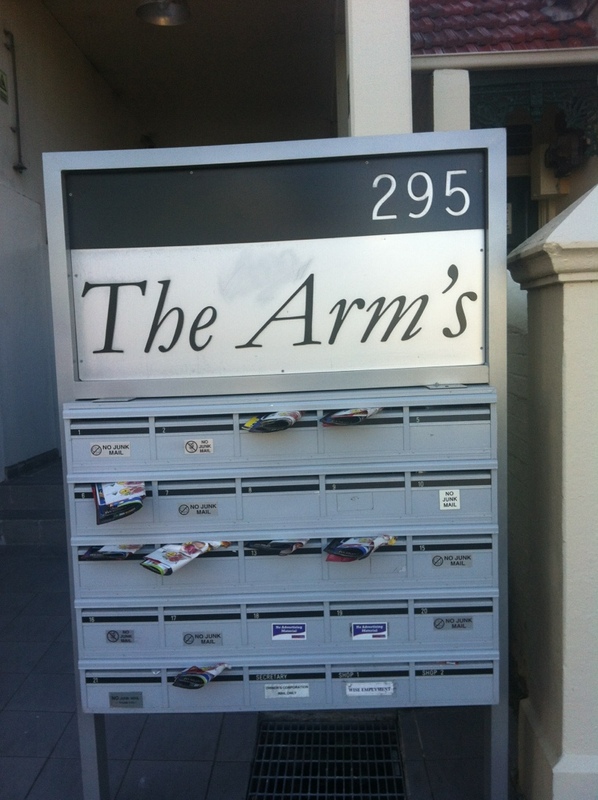 A greengrocer’s apostrophe has escaped and been seen at this block of flats in Victoria Road, Marrickville. Approach with caution, as it is believed to breed at a phenomenal rate. This entry was posted in Around Marrickville and tagged phone photo, snark. Bookmark the permalink. Oh dear, mccardey, I was giving myself a day off!